A reception and two discussions about the future of British journalism was held at the Fronline Club on April 17, 2013. Joshi Herrmann, Lucy Fisher and Jennifer O’Mahony were giving helpful advice to student reporters. 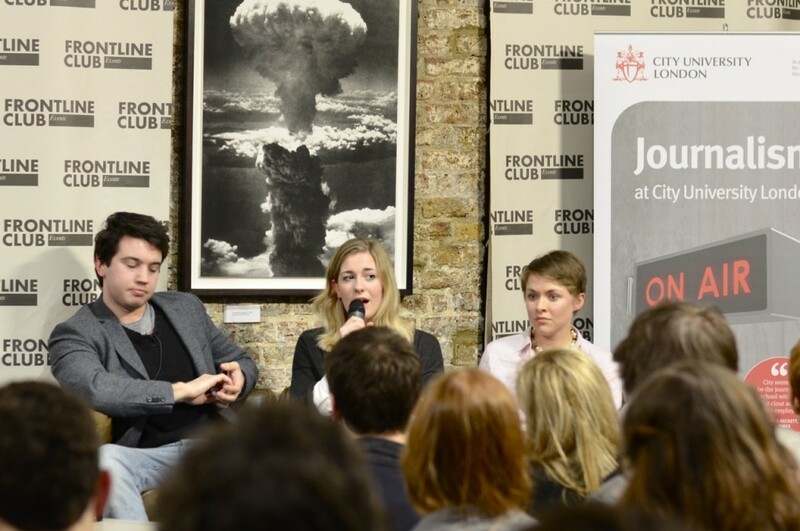 The panel included James Ball, data journalist at The Guardian and City tutor, Joshi Herrmann, feature writer for The Evening Standard, Lucy Fisher, world affairs journalist for The Sunday Times and Jennifer O’Mahony who works at the Online News Desk for The Telegraph. All four got into full-time journalism jobs through different paths: Fisher “jumped at every internship opportunity and slept on friends’ couches,” O’Mahony started blogging in France, interned in Malta and in the US then got into freelancing, Ball worked for a small trade publication in Crawley and Herrmann edited The Tab in Cambridge. When the discussion was opened up to the packed forum, a member of the audience asked if and how the interests of owners and advertisers affect their jobs. After a break for drinks, nibbles and networking, the second panel discussion began. 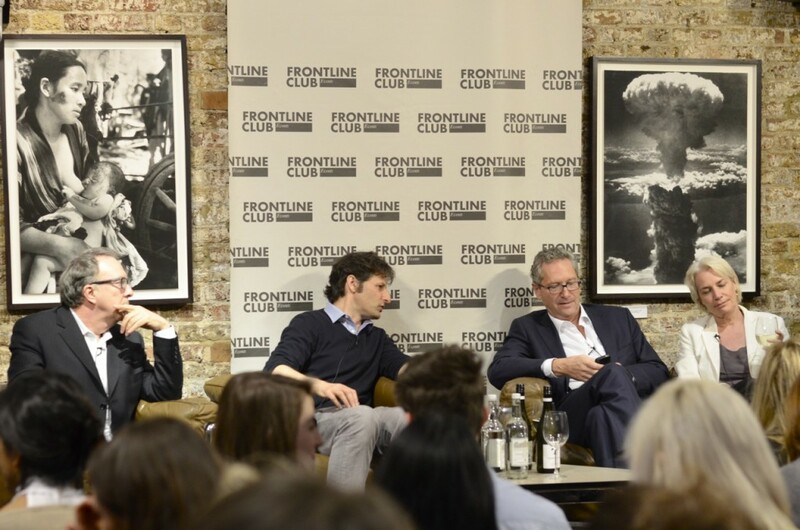 Hosted by Steve Richards, chief political commentator at The Independent, a team of editors from the UK’s most influential papers came together to discuss issues such as the funding of investigative reporting and the future of magazine publishing. Steve Richards, Ian Katz, John Witherow and Sarah Baxter were addressing issues like pay walls, funding of investigative reporting and ways into the industry. The event was sponsored by City University London, Cardiff University , Teach First and Orillo. It was organised by Grapevine Events.